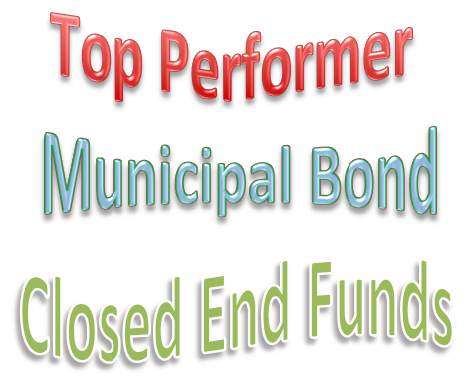 Find performing municipal bond closed end funds 2013 article. The top CEF funds are BlackRock CA Muni 2018 Term fund, BlackRock FL Municipal 2020 fund, Nuveen Select Maturities Muni, and more. Investing in municipal bond closed end funds is popular among investors and tax free high yield income seekers. In 2013, any bond funds have returned either a little return or a big negative return. This post will look into the best performing funds. You may find various different type of municipal bond closed end funds including diversified national muni bond fund, California muni bond fund, high yield bond fund, etc. Will these top funds stay on top in 2014? Find the fund review below. Whether you are investing for your brokerage fund or retirement fund, you need to be sure you are making the right choice. You may find the fund yield, performance return, expense ratio, total assets, and rating. This BlackRock fund utilizes its assets to purchase undervalued investment grade California municipal bonds. With total net assets of $140 million, it has a high yield of 3.85%. This BlackRock CA Muni 2018 Term Fund has a low expense ratio of 0.90% per year. This tax free muni bond CEF fund is trading 3.97% premium to its NAV (net asset value). Morningstar hasn’t ranked this municipal bond fund. This best performing muni bond CEF has returned 6.36% over the past 3 year, and 13.65% over the past 5 year. In 2013, the year to date return is 2.59%. Top 3 bond sectors are tax-backed debt, utility debt, and transportation debt. This BlackRock Muni 2018 Term Trust Fund is also not being ranked by Morningstar yet. The total net assets are $255 million. The total leverage ratio is 26.53%. This top performing muni bond CEF fund has a taxable equivalent yield of 7.00%. The average coupon is 4.99%. In 2013, it managed to return 1.73%. As of December 2013, the top 2 sectors are taxed backed debt and corporate backed muni. The top 3 holdings are Centerline Equity Issuer Trust, 6.80% 6.80 31 Oct 2052, Railsplitter Tobacco Settlement Authority 6.00 01 Jun 2028, and County Of Lowndes Mississippi, Refunding 6.80 01 Apr 2022. The top 3 municipal states are Texas, New Jersey, and Illinois. 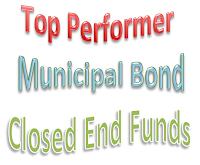 This best performing municipal bond closed end fund has annual portfolio turnover rate of 17%. The top 3 debt sectors are tax obligation/limited debt, utilities debt, and health care debt.